Trendease International · September 2016 / Are We There Yet? September 2016 / Are We There Yet? In this edition of Trendease you can catch up on growing trends we have scouted around the world in in bedding, floor coverings, wallpaper, bath, tabletop, children’s, plus some last-minute shopping tips for the holidays. 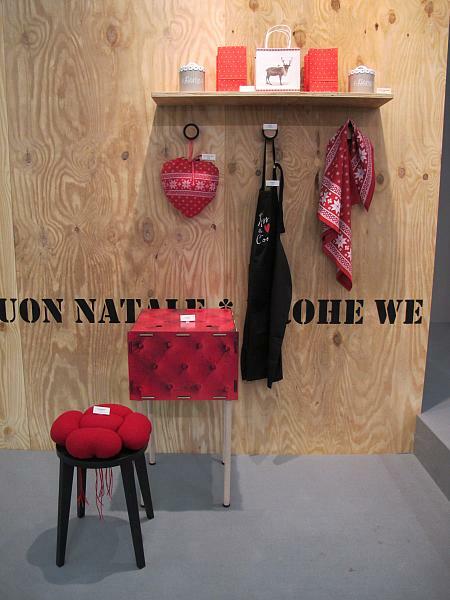 Find new ideas for merchandising shop windows and in-store displays. Have your funny bone tickled! See how nature’s minerals are influencing product design. Join us as we kick off the 2016 round of autumn/fall trade shows! Get inspired with the September edition! 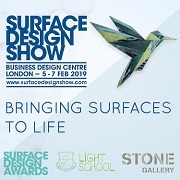 Frankfurt — The ‘Window dressing live’ area at Tendence acts as an inspiration to the retail buyers and merchandisers demonstrating to trade visitors how they can update their shop windows and display areas in the coming seasons. There were four main areas. The Trendease Team calls this one Starred & Stacked. Frankfurt — These vignettes keep it simple with wooden houses. Multiple uses for such displays can extend beyond the window to free-standing displays within a shop environment. Dark colors, mainly black, grey, and taupe, are not what one would normally consider festive, but upon reviewing the items, most of them are about travel, something that many of us do at the holiday season. Frankfurt — A roaring fire on a flat screen TV, why not? So much of our lives is digital now, even the fireplace. Cute as well as customizable cards and stationery adorn this area in a multitude of languages. Candles help us ‘keep calm and carry on’ with a warm atmosphere and beverage. Red and white stars, spots, and simplified Christmas trees decorate the latest items this season alongside old-fashion signs and spinoff creations of recognizable brands. Frankfurt — Brrrrrrrr! The Mad Hatter, a stag, and a fish walk into a bar… or in this case a wooden holiday house looking to warm up. Blankets, baubles, and soaps are neatly arranged. Feathers, fur, sequins, and felt are the materials of choice. An array of ceramics are ready for warming up guests with hot chocolate, coffee, tea and some spice cake. Canisters, containers, and trays are perfect to keep bits and bobs. Worldwide — Traditional craftwork creates a modern look just as well as the latest technologies as seen here in the trend of a crumpled, crinkled, crushed look in home textiles. Duvets that give the impression to be an enormous piece of crumpled up paper and the softest floor coverings, yet with the appearance of edgy wrinkles--these are part of the popular surface interests today. Shades of indigo and a range of whites to deep grey cover these pieces, offering up a depth of eye trickery. Worldwide — As we are well aware, for a while now all types of marble designs have been in high demand, from the actual stone to trompe l'oeil effects, as a material and a look. This is still the case, but we see the aesthetic widening to include geode looks, veined quartz, and other jewels from the earth. Worldwide — Every now and again it is fun just to let loose and to laugh a little. Children are the perfect excuse to let your silly side show. While walking the trade floor at Tendence this week, we could not help but crack a smile, chuckle even, at some of the items we uncovered. See come on now; let your inner child rejoice as you peruse this gallery of some of the hottest products for the wee ones. Brussels — Trendease was able to grow the very carefully selected 2nd annual MoOD Launch Pad from 8 in 2015 to 24 new participants this year. This year MoOD opened up the prestigious Blue Drop Awards to include an award for the best Launch Pad. And boy did the jury members have a tough time selecting their favorites; three exhibitors were shortlisted. Subscribers can see more visuals about the nominations and the ceremony within. NEWSLETTER #559 - 17/18 Leather Galore! Paris — This week started out with blazing through the six exhibitions of Première Vision, the busiest aisles we have seen thus far for the fall show season. Following up on the PV Leather preview we published is this very full gallery of images covering the five themes and showing off the latest leathers, skins, and materials for upholstery, office and fashion accessories as presented on the show floor. 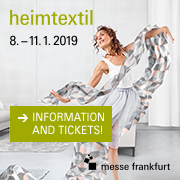 Frankfurt — Trendease is happy to present to you, dear readers, the Heimtextil trends which will be presented January 10-13, 2017 in Frankfurt during the exhibition, within the Theme Park. As usual, the Heimtextil Trendtable has scrutinized the disciplines of retail, technology, hospitality, transport, work and home to perform some “marketing decoding” and come up with the 2017/2018 theme of ‘Explorations’.